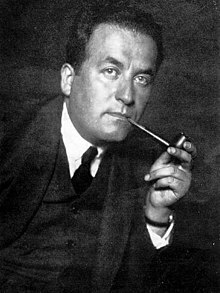 Shmuel Yosef Agnon (Ebreu: שמואל יוסף עגנון‎‎) (Julie 17, 1888 – Februar 17, 1970) wis a Nobel Prize laureate writer an wis ane o the central figurs o modren Ebreu feection. ↑ Laor, Dan, Agnon's Life, Tel Aviv, Schocken, 1998 [Ebreu]; Falk, Avner, "Agnon and Psychoanalysis," Iton 77, No. 156, pp. 28–39, 1993 [Ebreu]. An aa see Arnold Band, "Shai Agnon by Dan Laor", AJS Review, Vol. 35 (2011), pp. 206—208. Band says that Agnon inventit the commonly citit date Julie 17, 1888 in the 1920s.